Set in a near future dystopia, Stan and Charmaine are barely surviving; living in their car and surviving on Charmaine's waitress tips, their future is bleak. When they see an advertisement offering the opportunity to participate in a social experiment where they alternate monthly between two very different homes- the suburban bliss of Constilience and a prison cell in Postiron, they quickly sign up. Is appears to be a perfect solution to their problems. Is it all too good to be true? Of course it is. Things start to go off the rails and the dark truth behind this social experiment is slowly revealed, with lots of unexpected twists and turns along the way. Touching on serious themes, this highly imaginative and entertaining book is both provocative and thought provoking. A great satirical read. 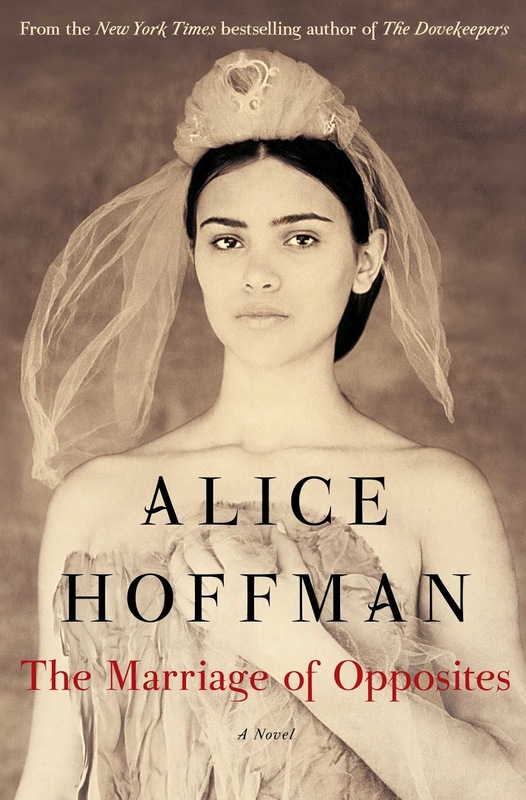 Today I indulged myself and finished reading Alice Hoffman's "The marriage of opposites" and I most certainly wasn't disappointed, in fact it's one of the best books I've read in a while. A forbidden and the sweeping romance, this historical fiction novel(mid nineteenth century), is set in St. Thomas in the West Indies, where the world is lush and full of exquisite beauty. The writing is strong and passionate. It follows the story of a girl, a wife, a mother, a lover, a friend and the relationship between a mother and son. This fiction is based on a true story - that of Rachel and her son Camille Pissaro who is considered to be one of the best impressionist artists of the twentieth century. Aside from the beautiful writing and images I conjured up in my mind of Caribbean and surrounds I am taking from this book "Love more, not less". 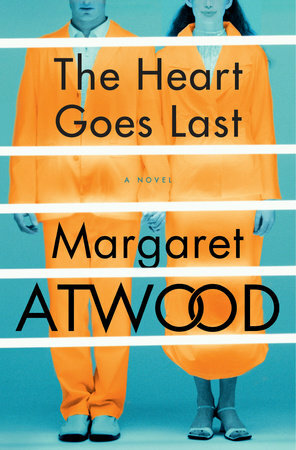 This book made me think of how we sometimes punish ourselves for events we had no control over. April lives a life of penance barely living after her small son is killed. She gives up everything and everyone who gave her happiness. Five years later she receives an inheritance of an abandoned English house. She goes over to sell it but finds herself drawn into a small group of quirky people especially Sunny an amazing old lady, Oran a faithful husband to a faithless wife,her solicitor and a mysterious lover who lives in the woods. Can they bring April back to a real life? A well written and intriguing tale. 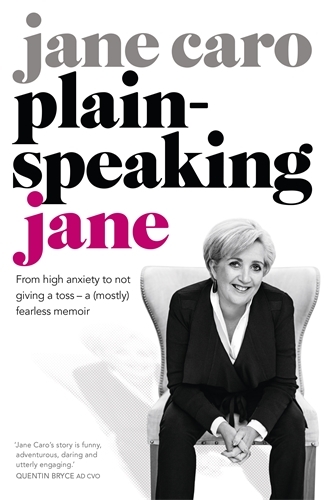 Advertising writer and regular guest commentator on the Gruen Transfer, Jane Caro has written a memoir ‘Plain-speaking Jane’. Pitched as a story about overcoming anxiety it is more than that highlighting her groundbreaking entry and success in the male-dominated field of advertising and her daily struggle for work-life balance. It is a useful and entertaining read, encouraging woman to speak up and not waste energy worrying about the things they can’t control. This is a monumental book. For those who have never heard the name before, it refers to a natural landmark ravine in the Ukraine, which in World War Two was the location of a brutal execution site. In the most notorious of purges, during just two days in 1941 over 33,000 Jews were killed by the occupying Nazi forces and local collaborators. In nearby towns, the sound of gunfire became a daily soundtrack. The author of this documentary work was a boy at the time of the executions, one of the impoverished villagers living close by, one who escaped death a number of times - sometimes, as he points out, through sheer luck. 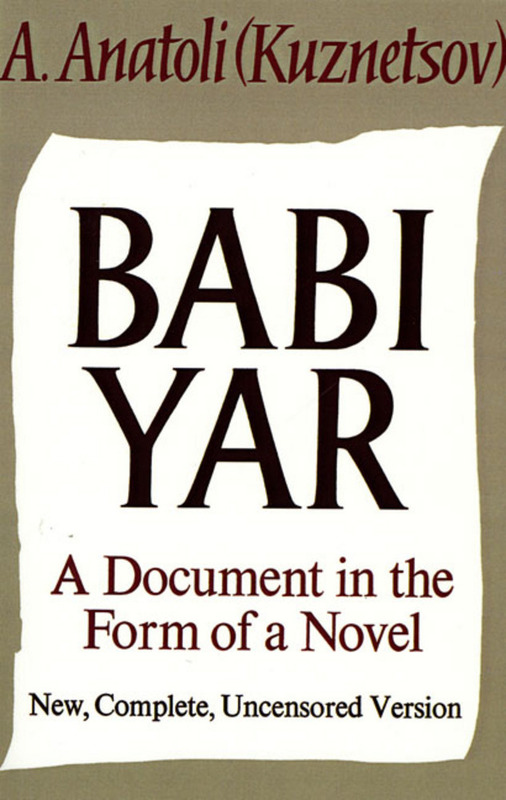 One of the most incredible things about "Babi Yar" that makes it so significant in the genre of historical writing is that Kuznetsov, escaping the Soviet Union in the 60s, indicates which sections of his formerly published text had been previously redacted. The supposedly critical anti-Stalinist, anti-Russian elements that were censored at the time gives a disturbing (and at times incredibly surreal) insight into a political system that denied so much of the agony and trauma that had occurred. The site where hundreds of thousands of people were murdered was later paved over, literally. A reminder. Well, so you are reading these stories. In some cases, perhaps you have just skimmed through unmoved... I must keep on reminding you... IT ALL HAPPENED.